2. How active are you on LoL? What days are you mostly on? :* I'm active almost everyday. Mostly between 5 and 8 pm. 4. We are trying to get good active players do you have a problem with any criticism on how to play a certain champ?. * No I'm always looking to get better. Do you have a problem with this? I can wait or just solo queue. 7. What Champions do you normally play or what role do you enjoy best, Tank, Dps, Support? * I can play every role decently xd. 8. In a team fight do you always focus the called out champion? :* Yes. 9. During lane phase do you play aggresively or passively? :* Depends on who I play against and who I play. 10. Do you have a problem with losing if its a possiblity? *No cant win everything. 12. How do you define a quality member? * Someone who is willing to help other people. 13. 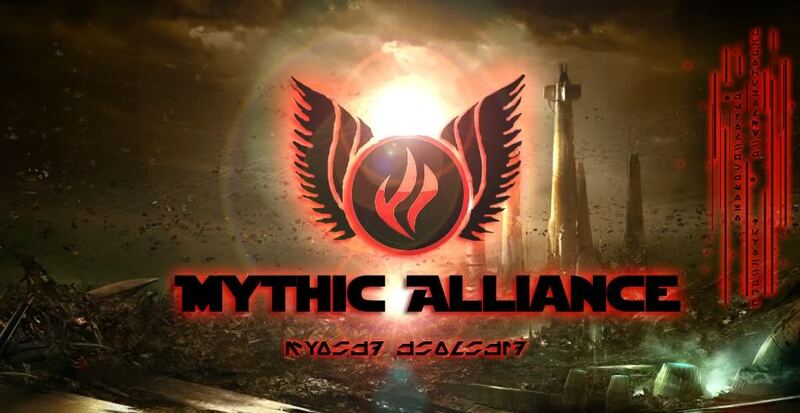 How did you find the Mythic Alliance* LoL forums. 14. Do you have any experience using ventrilo? And or do you have a problem with installing it? I've used a couple time. I dont have a mic but I should be getting one very soon. Random Q: If we are losing in a game but were not going to surrender and we know we've lost do you Race to the Opposing teams summoning circle or do u you try and fight baron alone? What do you do in a dire situation? I just try to defend my base.